Japanese bekko (tortoiseshell) artisans have been renowned as the world's premier craftsmen since 1700, when they established themselves in Nagasaki. The beautiful Tortoiseshell of the hawksbill turtle has been prized since ancient times. Over 2,000 years ago Julius Caesar considered the warehouses of Alexandria brimming with tortoiseshell to be the chief spoil of his Egyptian triumph. Surrounded by legend, tortoiseshell has been described as "one of the romantic articles of commerce, not only because of where it comes from, but because of the creatures from which it is obtained and the people engaged in the trade" (Parsons, 1972). Until the second half of the 20th Century, the tortoiseshell trade flourished. Japanese tortoiseshell imports of more than 1.3 million large hawksbills from around the world between 1950 and 1992 have had enormous long-lasting effects on hawksbill populations. Percentage of trade to Japan by region: Caribbean and Latin America -44.2%; Asia - 20.8%; North America - 15.1%; Indian Ocean and East Africa - 8.7%; Oceania - 5.8%; Europe and West Africa - 5.4%. Exploitation and tortoiseshell trade statistics are key to understanding the enormous and enduring effect that trade has had on the world's hawksbill populations and predicting current population trends. While all species of sea turtles have been imperiled by the loss of nesting and foraging habitat, accidental capture in fisheries and marine pollution, hawksbills have been further threatened by the intensive shell trade. Well into the 20th Century, tortoiseshell was a luxury item used to make elegant combs and brushes, jewelry boxes, and ornaments. In particular, Japanese bekko (tortoiseshell) artisans have been renowned as the world's premier craftsmen since 1700, when they established themselves in Nagasaki. During the 20th Century, Japan was the world's largest market for tortoiseshell; government records for 1950-1992 document imports of more than 1.3 million large hawksbills and 575,000 stuffed juveniles. At the same time, tourist trade in stuffed hawksbills and tortoiseshell flourished locally in the Indian Ocean, the Pacific and the Americas. Millions of hawksbills were killed for tortoiseshell in the last 100 years. In 1977, the tortoiseshell trade was finally prohibited by the newly created conservation treaty known as CITES, the Convention on International Trade in Endangered Species of Wild Fauna and Flora. 1- The surface of tortoiseshell used to make Edo Bekko products is prepared by hand. Smoothing is conducted utilizing tools such as rasps, knives and files. 2- Tortoiseshell pieces are joined together using joint plates, metal plates, pincers and presses, etc. They fuse together with the application of heat. 3- Product shaping is done using wire saws, knives, files and scouring rushes, etc. The history of working with tortoiseshell is extremely long. Among the treasures of Todai-ji Temple's Shoso-in treasure house (built around the year 756), artifacts such as staffs and Biwa (Japanese lutes) have been identified as having tortoiseshell decorations. 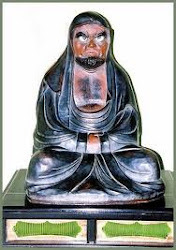 Edo Bekko started to be produced at around the time the Shogunate was established in the city of Edo (modern Tokyo). Shell working techniques were at that time very simple to the extent that tortoiseshell tended to be used as is. During the Genroku Era in Edo (1688-1704), techniques for fusing tortoiseshell pieces together arrived in the city, and this made it possible for more complex products to be produced. 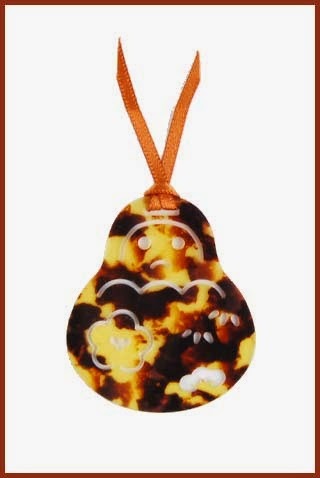 For Edo Bekko, of the many different species of turtle, Hawksbill shell has been traditionally used; it being an appropriate species for producing both fashion accessories and ornaments due to the quality of the shell. At 50 to 60 years of age, Hawksbill specimens living near the equator grow to some 180 cm long and weigh around 200 kg. Talking about the shell (the carapace) of the Hawksbill, it always offers an area comprised of 13 black sections (scutes). The transparent area of the carapace other than these scutes only amounts to approximately 10% of the total. Thus, such material is very much prized. The Hawksbill Turtle is now a protected species under the Convention on International Trade in Endangered Species of Wild Fauna and Flora (The Washington Convention). Thus, there are fears regarding being able to obtain good quality, natural Hawksbill shell. However, these days there are hopes with regard to the production of Hawksbill Turtle shell from turtles grown in captivity in equatorial countries such as Indonesia and Cuba. With respect to the manufacture of Edo Bekko products, the process commences with decisions concerning the taking of base material from a carapace, the shape of a product and its position within a scute. Two or three similar pieces are cut and fused together through a combination of water and heat. It is years of experience and a craftsman's mastery in controlling the moistening, temperature and pressure on materials which decide whether or not the fusing of pieces together is successful. After this process is completed, tortoiseshell is smoothed down using files and scouring rushes. 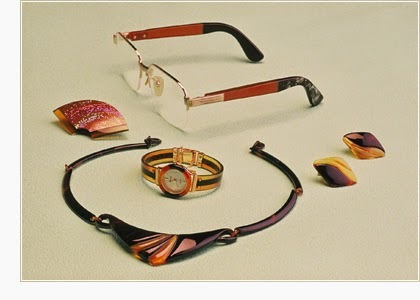 Accessories made from natural tortoiseshell such as necklaces, broaches and eye-glass frames, are loved by many people due to their deep sense of gloss and nice texture.